CABLE, Ohio -- The relentless bullying became too much to handle for an 11-year-old girl with a "crooked" smile, her mother said. At 3 years old, Bethany Thompson was diagnosed with a brain tumor and battled through radiation treatments. 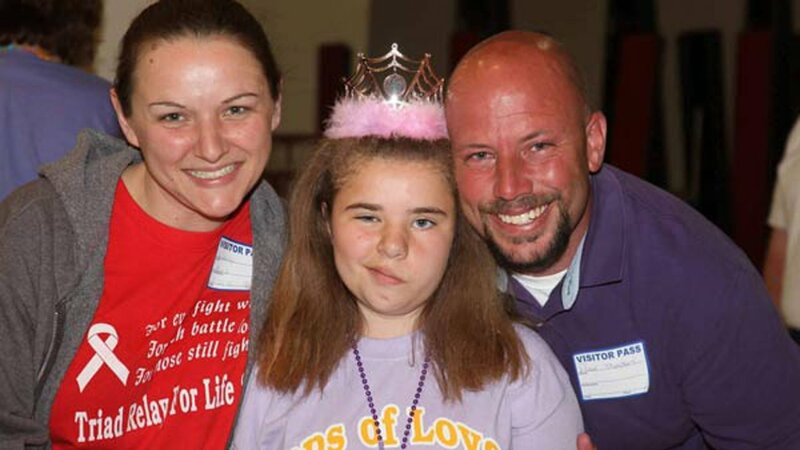 Though cancer-free since 2008, treatment caused nerve damage that changed Bethany's smile. That, and her curly hair, led to bullying, said Bethany's mother, Wendy Feucht. Feucht said after a particularly tough Wednesday with bullies, Bethany told her best friend she couldn't take it anymore, and was going to take her own life. Her friend's father called Bethany's mom, but it was too late. Bethany found a gun kept in the house, and shot herself one time, police said. Her stepfather was asleep in another room. "She was my princess, that's my baby girl. Life revolved around her for me," said Bethany's dad, Paul Thompson. Champaign County Sheriff said they're treating the death as an apparent suicide. Triad Middle School was aware of the bullying problem, Feucht said. She had talked to the principal as recently as the Monday before Bethany's death. The principal told her he was investigating, Fuecht said. "Something has to change, something is broken in the system and there are lots of different ways that this could have been handled," she said. In hindsight, Fuecht said she didn't get mad enough; to parents she said, "Call them, call them every day if you have to and eventually they'll be tired of hearing from you and actually do something." "Last school year, district officials investigated a complaint raised by the student and appropriately resolved the same. As many school districts across the country are currently doing, the Triad Local School District is undertaking efforts to bolster anti-harassment and bullying training for both students and staff," Piper said in a statement." Having the support of friends wasn't enough to keep the bullying away, however, and some boys in her class were known to bully Bethany and others regularly, Feucht said. Bethany and her friend went to administrators with anti-bullying posters on Bethany's last day at school, and were told they couldn't be used, Feucht said. They made signs with anti-bullying slogans like "Buddies, not bullies," she said. The community has rallied around Bethany's family. The family plans to use the remaining funds to set up a scholarship fund in Bethany's name and to raise anti-bullying awareness. As the family tries to move on with a positive memory of Bethany, Feucht wants others to learn from their experience and identify with her daughter's struggles. "I am Bethany. Anyone who's been picked on, they've been Bethany." They hope to be a part of movement, and that Bethany's memory will live on as a reminder of the importance of kindness and a zero-tolerance for bullying. "If this were the last life, that her death could stop it, she would be thrilled," Feucht said.